If (a) you never saw the full video (30 minutes, I'm warning you) of my 2008 Libertarian National Convention keynote speech, and (b) want to see it....here it is! At least some of the 100+ accused cheaters are not taking the heat lying down. 2. plenty of other people cheated in the past. Not sure who teaches logic at Harvard, but maybe the powers that be should check the syllabus? A pounding heart is a common symptom people experience when confronting moral dilemmas. The authors conducted 4 experiments using a false feedback paradigm to explore whether and when listening to a fast (vs. normal) heartbeat sound shaped ethical behavior. Study 1 found that perceived fast heartbeat increased volunteering for a just cause. Study 2 extended this effect to moral transgressions and showed that perceived fast heartbeat reduced lying for self-gain. Studies 3 and 4 explored the boundary conditions of this effect and found that perceived heartbeat had less influence on deception when people are mindful or approach the decision deliberatively. These findings suggest that the perceived physiological experience of fast heartbeats may signal greater distress in moral situations and hence motivate people to take the moral high road. It has been suggested that people attend to others’ actions in the service of forming impressions of their underlying dispositions. If so, it follows that in considering others’ morally relevant actions, social perceivers should be responsive to accompanying cues that help illuminate actors’ underlying moral character. This article examines one relevant cue that can characterize any decision process: the speed with which the decision is made. Two experiments show that actors who make an immoral decision quickly (vs. slowly) are evaluated more negatively. In contrast, actors who arrive at a moral decision quickly (vs. slowly) receive particularly positive moral character evaluations. Quick decisions carry this signal value because they are assumed to reflect certainty in the decision (Experiments 1 and 2), which in turn signals that more unambiguous motives drove the behavior (Experiment 2), which in turn explains the more polarized moral character evaluations. Implications for moral psychology and the law are discussed. The LMM goes to the grocery store quite a bit. She eats mostly brocolli, and so has to buy brocolli twice a week or so. They had always had signs at registers about donating to United Way. Never had a cashier ask me about it. 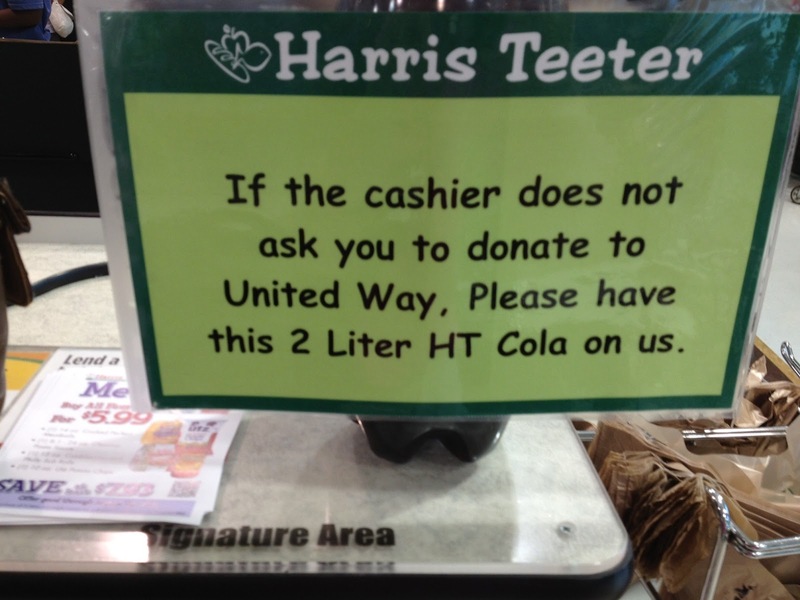 Now at the end of the register area, there was a 2 litre bottle of Harris Teeter coke with a pre printed laminated sign on it saying, "If your cashier does not ask you if you want to donate to United Way, please except this 2 litre bottle of HT coke." (my emphasis!) Couldn't believe it. Manager was bagging my groceries. I pointed it out to him and said that was very embarrassing. He acknowledged it was. Cashier immediately asked me if I wanted to donate. I had watched the two people in front of me and she hadn't asked them. Instead of changing one word, they had redone the sign as Ernest Hemingway might have said it. The checkout person did NOT ask the LMM to donate. UNTIL she saw the picture taking. THEN, "Do you want to donate to United Way?" Heh. UPDATE: I have NEVER been able to spell brocoli....brokolley....broccoli. Perhaps I should apply to Harris Teeter for a job! The young hippopotamus plopped into the pool on Tuesday at the Monate Conservation Lodge north of Johannesburg. The pool is big enough for the hippo to swim but it's eight feet deep with no steps and "there's no way he can come out," lodge manager Ruby Ferreira told The Associated Press on Thursday. A game capture team will sedate the hippo and lift it out of the pool with a crane, said MuIsabel Wentzel of South Africa's National Society for the Prevention of Cruelty to Animals. Much of the water has already been drained to make the extraction easier. A veterinarian will be present during operation hippo extraction on Friday. ...a game capture team had been waiting since Thursday for a veterinarian to show up to tranquilize Solly and oversee the operation to hoist him out with a crane. By early Friday, the hippo was showing signs of stress and was no longer able to stand in the pool, which had been drained of most of its water in preparation for the rescue. Lying in the murky, feces-strewn water, he emerged occasionally for air, sighing anxiously as he gazed at journalists gathering around the pool. Really? The kid is DEAF. He uses American Sign. His name sign "looks like" he is holding his hand like a gun." Why in the world do you idiots want to make a little deaf kid feel bad? The parents of a 3-year-old deaf boy from Nebraska say his preschool told them he must change the way he signs his name because it looks like a finger-pistol...The family of pre-schooler Hunter Spanjer said officials at the Grand Island Public Schools told them the manner in which the boy signs his name is a violation of its “weapons in school” policy. They claim they were told Hunter had to modify the way he signs his moniker to comply with the school's zero tolerance code against weapons in school. I have a "sign" for the nuts who have taken over our schools. It involves the sign of me grabbing my private parts, wiggling around a lot. Apparently, the school is now denying everything. But the ACLU found enough cause to take up the case, on behalf of the boy. So, people are surprised that Harvard students are cheating. Really? I'm not. Harvard students don't always see an actual professor. Harvard is a place where many of the world's best (perhaps the very best) students go to be taught by many of the world's angriest (perhaps the very angriest) graduate students. Yes, the faculty are fantastic. But the only place you will ever see some of them is on the faculty web page. NOT surprisingly, then, given the atmosphere, cheating is rampant. I suppose this should upset people, but it doesn't. The undergrads are Harvard are so smart, so worldly, so bright and interesting that they can function as their own educational facility. They don't always have faculty, but they don't need them. There is one place, however, where cheating should clearly not upset people. In fact, it ought to be required. The course? Introduction to Congress: where cheating is part of the learning. After all, if you don't cheat, you don't really understand government in action. These kids are clearly destined for a success in politics. This is not to deny that ideology and ignorance play a role in the fates of nations. For example, clearly, if European leaders at Maastricht knew the problems that single currency and implicit bailout guarantees to financial markets on sovereign debt of peripheral countries would create, they would not have opted for it, instead choosing another path to increasing integration in Europe. I don't think this is right at all. Plenty of economists (both liberal and conservative) were pointing out that Europe was not an optimal currency area and that the single currency wouldn't work. Instead, I'd say arrogance and over-confidence often play important roles in the fates of nations and the Euro is a prime example. Other examples? What gets us into trouble more often, ignorance or arrogance? First, the Congress apparently decided to privatize helium producing "mines" in 1996. I hadn't realized that the helium industry was a state-owned enterprise in the first place. Was it really necessary to nationalize the inert gas industry, when we already have an inert Senate? But, okay, fair enough, we privatized the industry. But the federal government still sets the price? According to this article, that's the case. The problem is that very few new producers have entered the "industry." That may be because there are not many underground stocks of pressurized pure helium. But it also may be because THE FREAKIN' FEDERAL GOVERNMENT IS STILL SETTING THE PRICE. Economics is hard, but it's not THAT hard. We are headed for a world where most production can be done efficiently without very many people. Either smart machines will do it by themselves, or communications technology will massively raise the scale at which that the best people can practice their trade. In other words, we are headed for a new gilded age where owners of capital and labor market superstars will be producing a massive chunk of the economic pie. The exact percentage? Shall we say 90? Our politicians are, as usual, fighting the last war. It's nuts to worry about getting manufacturing jobs back, because as a first approximation, there won't be any in 10-15 years. I can think of two possible outcomes for the rest of us. One is that we are all on the dole, happily chewing qat or plugging into the Matrix of amazing alternate reality experiences available to us. The other is that we form an army of personal service providers to the ultra rich. I specialize in fingernail care, you focus on toenails. Uncle Chester vacuums out bellybuttons, and so on. Unless we get fully functional personal assistant robots who can pass the Turing test. Then it's the Matrix for all of us non-elites. People, how do you want to spend your time in a world where meaningful work is not really an option for most of us? With a nod to Matt Y.
RJ Gordon has written a "new" paper. It's basically The Great Stagnation (with no cite) without the happy bits. A thought experiment helps to illustrate the fundamental importance of the inventions of IR #2 compared to the subset of IR #3 inventions that have occurred since 2002. You are required to make a choice between option A and option B. With option A you are allowed to keep 2002 electronic technology, including your Windows 98 laptop accessing Amazon, and you can keep running water and indoor toilets; but you can’t use anything invented since 2002. Option B is that you get everything invented in the past decade right up to Facebook, Twitter, and the iPad, but you have to give up running water and indoor toilets. 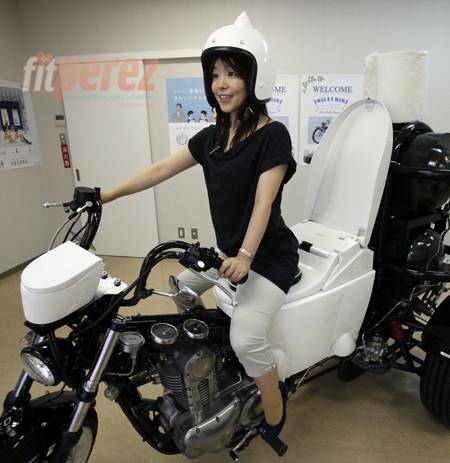 You have to haul the water into your dwelling and carry out the waste. Even at 3am on a rainy night, your only toilet option is a wet and perhaps muddy walk to the outhouse. Which option do you choose? There you have it people. Case closed. We are all doomed because....we have already solved the fundamental problems facing humanity (at least for the top 80% of people in developed countries)?? Really? That's supposed to make me feel bad about the current era? I get the meat & potatoes and the carmel frappacino too? Just turn this around and you can see how dumb it is. Suppose we had the internet of today but no running water. How long do you think it would take to invent it? An hour? A day? Then we'd get its implementation funded on kickstarter in no time flat. Our only real snags would be the decades of environmental studies required by the government and the protests of the United Brotherhood of Night Soil Workers. What Gordon's paper does for me is remind me that we in the rich world should (yes, I said should) be more focussed than we are on our fellow humans who still live without "the great inventions". Some products require explanation. Others do not. Presumably "virginity cream" is in the latter category. But then there is the question of why anyone would think a cream would restore....that. Or want it to. Sounds like some folks need some "idiot cream," fast. Got to admit, the video is straight up BOSS. With thanks to Kindred W., who knows me too well, apparently. Yes people it's the LeBron tripleheader. Markets in Everything, The Culture that is Japan, & There is no Great Stagnation all in one post. Without further ado, I give you the Japanese Toilet Motorcycle! 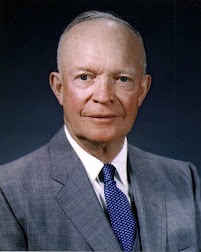 "My view is that the Fed never had the power, and lacks the power today, to solve our primary economic problems. However I believe it did have the power, and successfully exercised the power, to prevent our problems from becoming even worse." That, in my view, is pretty much exactly right. If someone wants to subsidize an industry, why not let them? They are giving you free stuff. In the case of solar panels, not really USEFUL free stuff, but free stuff. China having a little trouble. Reminds me of one of the readings we had for the LF this past weekend in Utah (hey, Bishop! We missed you! At the hot tub! ): Bastiat's "Petition of the Candlemakers." Enjoy. One of Bastiat's best. And major props to Bob Lawson and Amy Willis for putting on such a great conference. Labels: solar fail, where's Freddie Bastiat when you really need him? Aaargh! Monetary policy is not "tight"
It is certainly true that the nominal interest rate is not a sufficient statistic for the stance of monetary policy, but a low interest rate is NOT somehow prima facia evidence of tight policy! Let's take an example of how the nominal rate alone is not enough to infer the stance of policy. If the interest rate is 10% and inflation is running at 20%, the real interest rate is -10% and policy is not tight. If that same 10% interest rate is paired with a 0% inflation rate, then policy would be very tight indeed (real rate of 10%). So the nominal rate does not in general accurately guide us to a conclusion about monetary policy. But now consider our current situation. Inflation is around 2%. The Fed has pushed short term rates to around zero. The short term real rate is negative. 10 year government bonds are yielding around 1.6%, so that 10 year rate is slightly negative. According to the email spam I constantly get, 30 year mortgage rates are something like 3.5%, so the real cost of funds to buy a house is 1.5%. That's not negative, but it is low. Real interest rates that are negative to very low = monetary policy is not tight! Could monetary policy be even looser? Maybe. If by QE3 the Fed could get mortgage rates down 50 basis points without raising inflation, making the real cost of funds to buy a house fall to 1% would that solve our economic problems? If the Fed could raise inflation expectations to 3% while somehow keeping nominal rates where they are, would that solve our economic problems? As LeBron pointed out, the costs of trying and failing don't seem to be so high, so why not give it a try? Just don't expect too much. And please stop railing about tight monetary policy in the US.